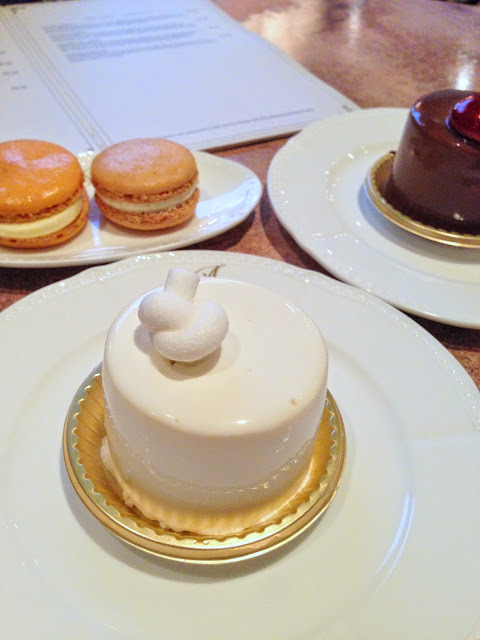 Since the temporary closure of k ki, I’ve been patronizing Antoinette for my mousse cake fix. They have probably revamped their cake menu now- hopefully it’s a breath of fresh air because I’ve eaten their stuff (or more accurately, the Antoinette cake) too many times! This visit was to their Penhas outlet. My favourite outlet is still Palais Renaissance but the parking fees are way to high for me to linger for long. I was a little disappointed this time because the cakes didn’t look fresh or well kept. Spotted lots of imperfections (e.g. messy mirror glazes, pot holes (goodness me!)) so that affected my choices. Unfortunately, the Angelique didn’t impress. Floral flavours are extremely hard to please because everyone starts to think of pot pourri at the back of their minds. I found the violet flavour too weak, and the strawberry blackcurrent jam inside wasn’t tart enough to bring out the light florals of the cake. Fortunately, Antoinette was ever dependable with the delicious earl grey milk chocolate mousse, feuilletine layer, cake, and tart raspberry coulis. Finally, I also sampled some macarons but next time, I’ll just skip them. 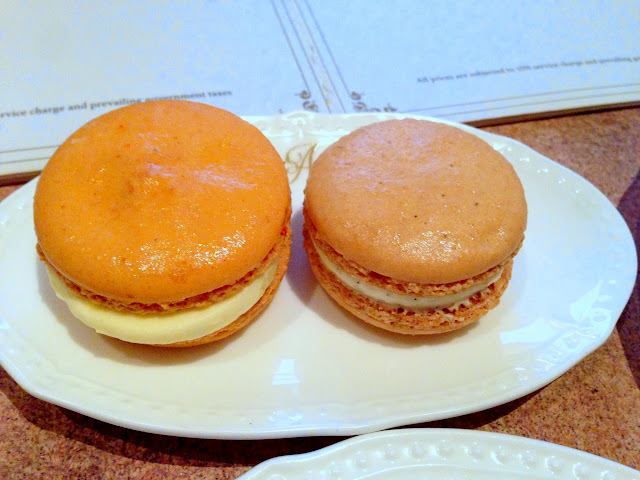 The shells were slightly dry and the buttercream for the vanilla macaron was a little oily. My most memorable vanilla macarons are still PH and some random vanilla macaron distributed by Eurostar when our trains got cancelled and we were stuck at Gare du Nord haha.